He’s obviously having fun with that, so I had to start doing something like that on my own. 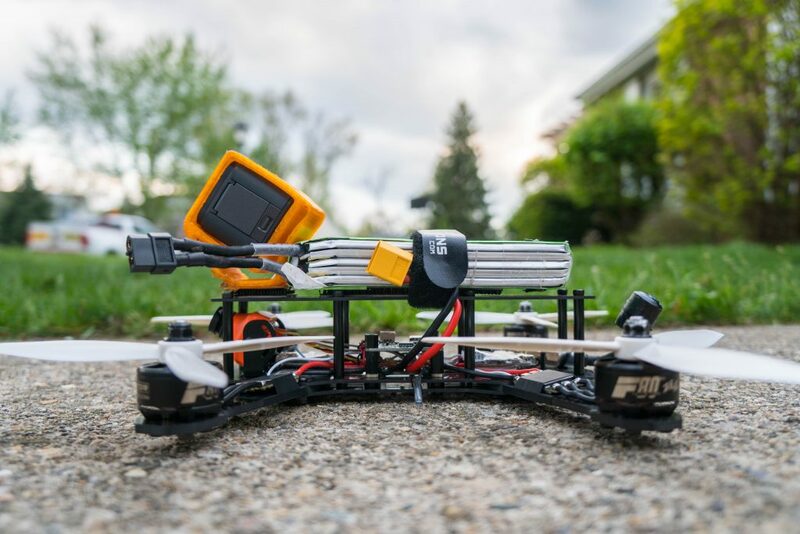 The ZMR was the first machine that I ever started with, and it flew like crap, so I wanted to take it a step further, and see what it would be like with a modern touch. 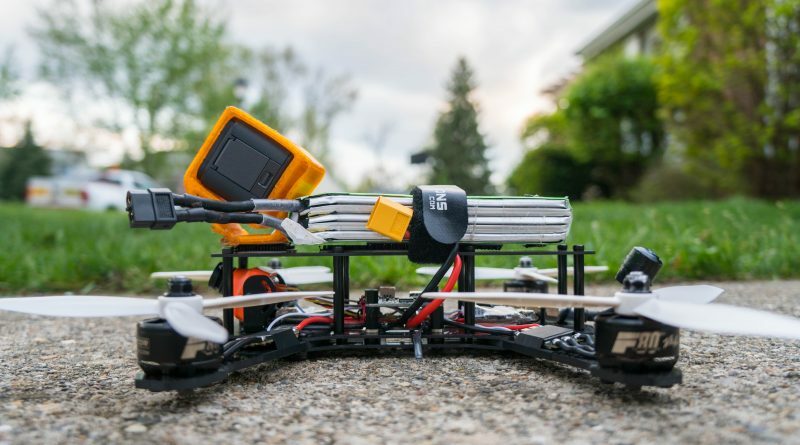 So pretty much minutes after watching Diego’s video, I went over to Ready Made RC and purchased a ZMR frame for myself for.. $16, cause why not. It arrived shortly after, cause RMRC is 1 state over. And it actually kinda surprised me.. like.. this thing flies like a dream. It’s torquey, it’s got top-end, and the thing just seems to flow super well with little to no prop wash. I’ve tried it on both 4s and 5s, and both are fun. 4s flies great but lacks on the top end. 5s makes it feel like a peppy 4s with a gopro, so it’s a nice compromise. OH! And wait! 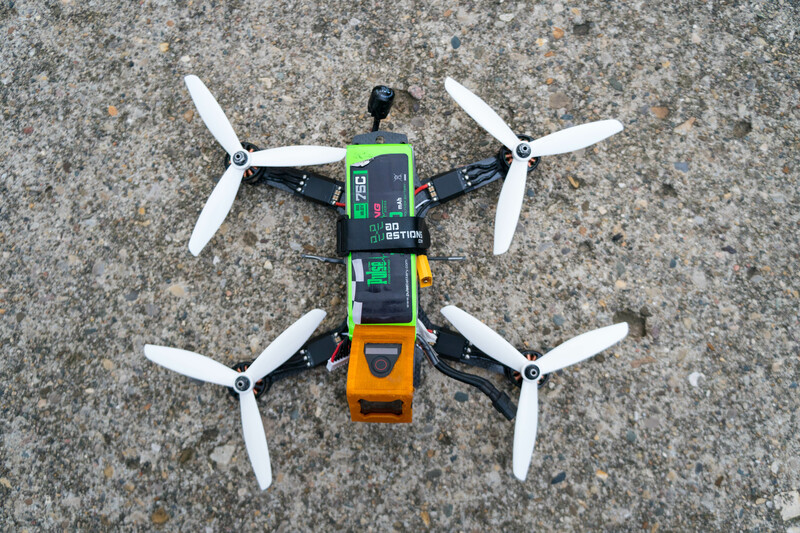 With an 1800mah 5s lipo, the thing flies for like.. 3.5 minutes of super aggressive freestyle. I am in the air for SO DANG LONG! It’s nuts! Here’s a video from 4-5 packs deep into maiden/tuning. I also took some pictures of her while she’s still pretty. I’m actually super happy with how it turned out. Because there’s so much room to work with, it’s pretty easy to space everything out and make the build look nice and clean, even for a super dated frame. However, I know that there are going to be problems with the ZMR. Looking at this particular version of it, there are some crazy huge scary fault lines on the arms near the motors (the “neck” of the arm) that are almost certain to break, and, while it really isn’t that bad, at 130g just for the frame i’d like to find something that is a bit lighter and truex. Maybe a QAV-R 6″ or something like that? We’ll see. I’ll keep playing around with it. Another issue is that the ZMR is not made for the 2408 stator size, which is unsurprising. As a result, I had to drill out the arms a little bit so that the c-clip wouldn’t get stuck on the arms when turning. High torque on the low end and high speed on the high end (on 5s), but everything in the middle is.. weird? Like.. if I really slam the sticks around, I can get the thing to do really peppy crazy maneuvers like I would need to race, but if I am more flowey like I’m trying to get my racing, it’s not quite as nimble. It’s very strange. I’m not saying it’s bad, but it’s different. 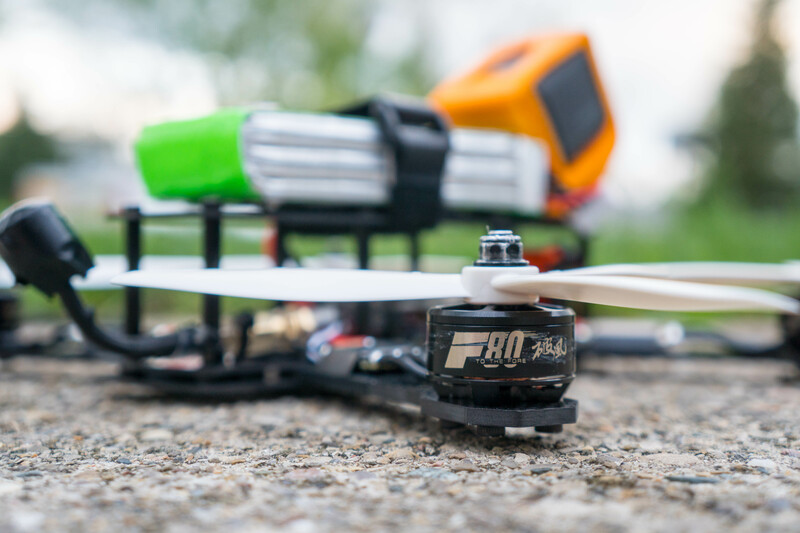 Long battery life: an 1800mah 5s lipo lasts 3-4 minutes of aggressive flight. I’m not used to flying that long! haha. Fun to fly — all of this comes together to be a unique feeling in the air, and I really really like it. I can’t quite put my finger on it, but this is one of my favorite birds to fly right now. Something about that beefy power train is making it fun. Love it!… thanks for taking us back to the good old days of the ZMR and reminding us where we came from… It’s thanks to the ZMR among a few other frames (QAV, blackout, etc.) 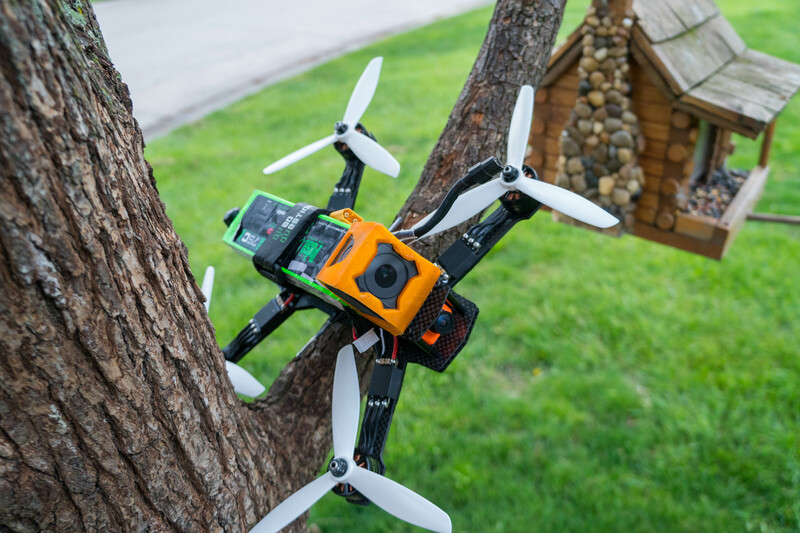 that initially caused me to get bitten by that FPV bug in the first place (mid to late 2015 for me). Not to mention, many of us, myself included, probably wouldn’t be where we are today (as far as FPV is concerned) without your original content that you so graciously shared with us, i.e. The Green Machine! – sooo awesome! Thanks again Paul for what you do! Keep up the great work! So, how’d you like that Switch VTX…?